When it comes to trash can option, you should choose the best one that can toss the garbage easily as well as left no pain when you replace the bag. Simplehuman Butterfly step trash can is the best trash can to choose, because it has many advantages to be used in your house. This product can remove and hide the trash bag easier compared to another product of trash can. The lid which is able to be open smoothly makes this trash can also easy to clean out after spilling the garbage. It offers the stainless steel finish for its material with the nice shape. The step trash can is not only easy and fast to open the lid but also provides you to clean the inside with ease. You are not required to touch the can with your hand to open, instead you just have to step the can to open it since it is equipped with foot press. The product that is excellent for household necessity would not damage the surface although you open it with more force. Since it has the pedal that is conveniently used, it will keep away your hands from the dirt which is also avoided by many people. 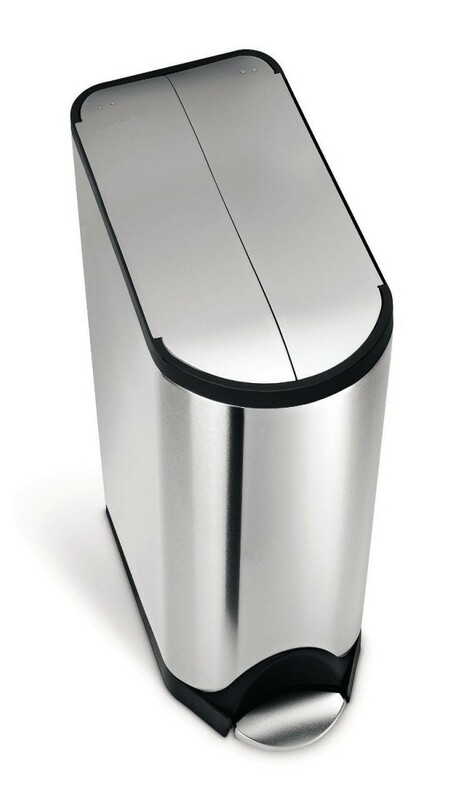 The Simplehuman Butterfly step trash can has slim design with space efficient shape that is able to last long. It is not only be able to accommodates many amount of garbage but also function smoothly since the lid can be locked open to do the large job. Equipped with the removable bucket that makes this step trash can easier to change the bag inside, it is also made of fingerprint proof brushed stainless steel. The silent close lid makes it produces the silent sound when you open and close it although the pedal is pressed with great force. 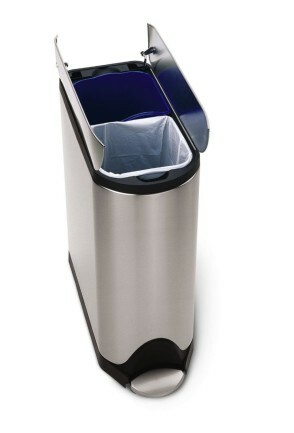 The internal hinge feature allows this step trash can to be perfectly placed against the wall. Its nonskid base also looks sturdy and allows this product keep steady. The Simplehuman Butterfly step trash can is available in six different options. The first is Butterfly step can fingerprint proof stainless with the capacity 30 liter. The second product is Butterfly step can stainless steel with the capacity 30 liter. The next option is the Butterfly step can fingerprint proof stainless steel with the capacity 20 liter. Another product option is 10-liter Butterfly step can fingerprint proof stainless steel that is able to load 10-liter garbage. This is the smallest type of Butterfly step trash can which is also as good as the other type. 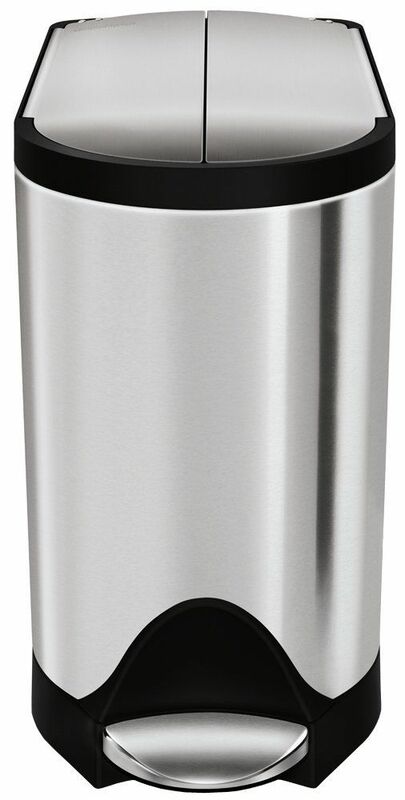 The fifth product of Simplehuman is Butterfly recycler fingerprint stainless steel that can accommodate 40 liter of garbage. The can that is designed with strong pedal made from stainless steel has two inner buckets. 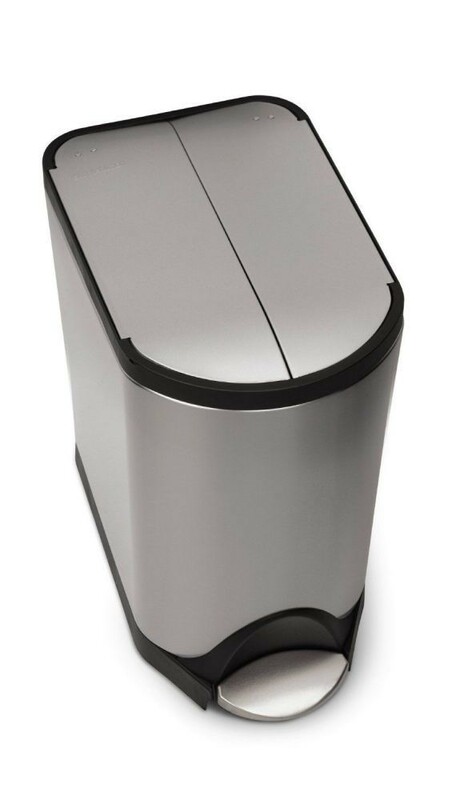 The last option of this step trash can product is Butterfly step can finger print proof stainless steel that is able to load up to 45 liters. 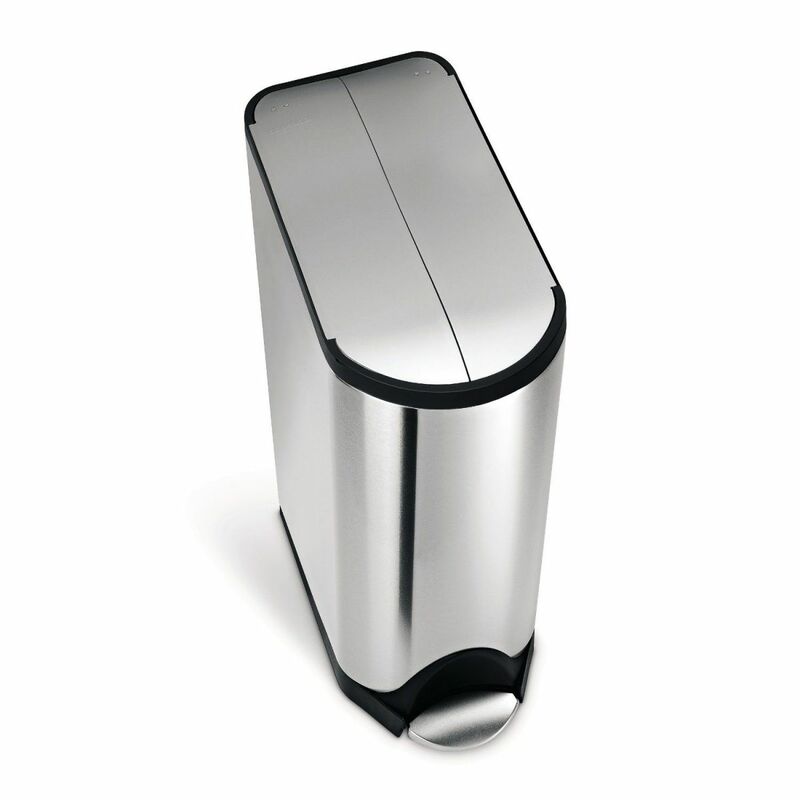 The product of Simplehuman Butterfly step trash can which is designed with efficient space has warranty for ten years.